Barcelona left-back Jordi Alba is reportedly set to sign a new long-term contract with his club. Alba, 29, has been in outstanding form for Barca this season, contributing 14 assists in 35 appearances. The left-back will see his current deal at Camp Nou expire in June 2020, though, and there have been suggestions that he is becoming increasingly frustrated with the situation. However, according to Sport, negotiations have 'accelerated' over the last few days, with Barca president Josep Maria Bartomeu intervening to speed up the process. 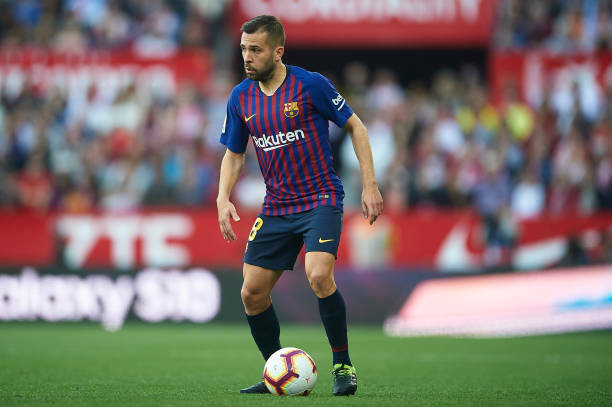 The report has claimed that Alba is expected to sign a new five-year contract with the Spanish champions, who are currently preparing for the second leg of their Copa del Rey semi-final against Real Madrid. Alba has made 281 appearances for Barca since arriving at the club from Valencia in the summer of 2012.